Zhang Lizhi loves dogs. But her encounter with two of them in Yushu, in the northwestern province of Qinghai on the Tibetan plateau, last August remains a nightmarish memory for the Shanghai office worker. “Both my legs are still covered in scars,” Zhang told NewsChina in January. In the vast hilly pastures of China’s western regions local Tibetans are close to their dogs. The Tibetan mastiff, a breed of sheepdog native to the highlands, has long been kept by nomadic households as a loyal guardian of family and livestock against potential threats. The massive dogs, some weighing as much as 70 kilogrammes, are fierce companions. According to Tibetan folklore the very first seed of highland barley, the staple food in the region, was brought to the plateau by a mastiff. Even today, during the celebration of Losar, or Tibetan New Year, nomadic Tibetans still feed their family dogs with a bowl of zanba (roasted barley flour) to show their gratitude. 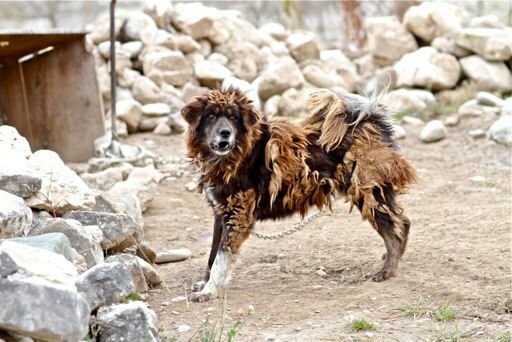 Tashi Gongbao was referring to the craze for Tibetan mastiffs, which prompted a frenzy of breeding and selling in the Tibetan regions, particularly around Yushu. This enthusiasm lasted till the mid-2010s. Driven by demand from Chinese nouveau riche, including coal tycoons, some premium purebreds were sold for over US$200,000 (1.3 million yuan) during the height of the craze. Many people, both inside and outside of the Tibetan regions, bred dogs for purely commercial purposes. 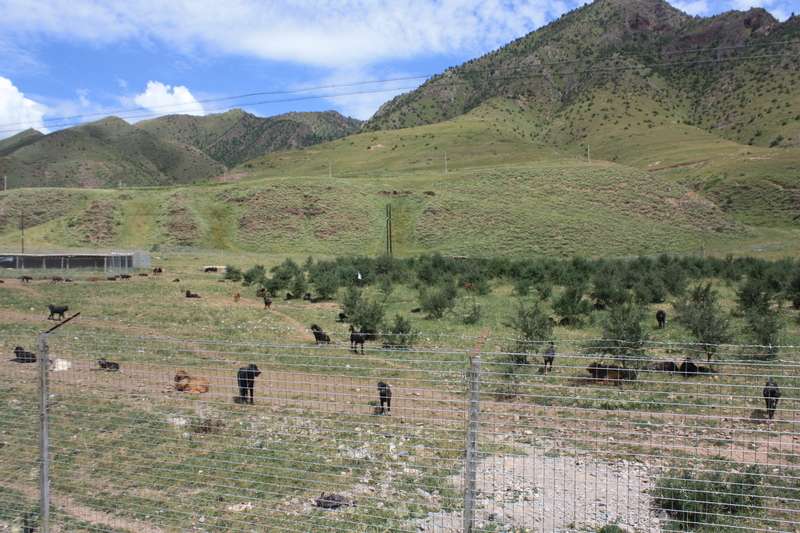 I visited Yushu in 2010 and saw caged Tibetan mastiffs in various parts of downtown Yushu. Local sources at that time said the average market price for a mastiff dog was over 200,000 yuan (US$29,040). Around 2005, some breeders in Yushu began tube-feeding dogs with cheese fluid or steroids to make them bigger and stronger, according to a June 2016 report by Sanlian Lifeweek Magazine. Some breeders even pumped dogs with silicone or water to make them look more powerful, greatly damaging the dog’s health. But like other speculative markets the Tibetan mastiff trade was badly hit by the combination of economic slowdown and the nationwide anti-corruption campaign from 2012 onward. As the booming market collapsed, and as more nomadic families settled down into city life, demand for Tibetan mastiffs continued to fall. Tashi Gongbao said that some crossbreed dogs lost the loyalty so valued in mastiffs, and even turned on their own masters. This had a critical impact upon the breed’s image, causing a surge in dogs being abandoned by callous owners and breeders, resulting in a large number of strays. With the buyers gone, the breeders soon disappeared. Zhou Yi, the chairman of the Qinghai Tibetan Mastiff Association, told the Xinhua News Agency in early 2015, that about a third of breeders in Tibet have closed their businesses, and the annual trade in Tibetan mastiffs in Qinghai had dropped from over 200 million yuan (US$29 million) to less than 50 million yuan (US$7.2 million). With no measures taken by the local government the number of abandoned dogs has grown rapidly resulting in numerous attacks on people. According to an inside source, some local governments in different parts of Yushu have made secret attempts to solve the problem by mass killings of dogs. But Tibetans are strong believers in Buddhism, which preaches compassion towards all living things, and the killings produced public resistance. Some villages resorted to setting up shelters for stray dogs in order to avoid the slaughter. In Maozhuang, a village in Nangqian county, an animal shelter covering over 13 acres was set up with joint investment from a local monastery and the village council. During a visit to Maozhuang in late August 2016, this reporter witnessed the open shelter accommodating over 1,000 stray dogs, along the road leading to the village. Cairen Yongzang, a local villager, said that before the shelter was set up, stray dogs were everywhere, and elderly people and children were afraid of going out alone. Dog faeces and urine stank up the village, threatening health. Locals lived in fear of attacks by strays. Dog faeces and urine stank up the village, threatening health. Locals lived in fear of attacks by strays. Sumang monastery raised a total of 400,000 yuan (US$58,000), half funded by government, to set up the stray dog shelter in early 2016. Community members from each household in Maozhuang were called on to assist by catching those dogs and moving them into the shelter. “We built fences and three dog houses and some infrastructure including a water diversion pipeline from the hill down to the shelter,” Tashi, the monastery keeper, said. According to Tashi, a forty-seven year old local monk who was born in Maozhuang [a different person to the previously mentioned Tashi Gongbao], villagers had three days to bring them to the shelter. “After that, we forbade additional new dogs to avoid group attacks on the newcomers,” he explained. Then the monastery paid a local vet to sterilize the female dogs and employees from two villagers to cook for the hungry hounds. Barley mixture is the staple feed for those dogs with additional leftover food from nearby villagers. There are just 600 households in Maozhuang, but villagers try their best to give barley, noodles and yogurt intermittently to the monastery as feed for dogs. The total daily cost of maintaining the shelter and looking after the dogs is significant, at least 1,000 yuan (US$145)?, according to keeper Tashi. There has been no follow-up financial support from the Yushu government, apart from a recent donation of 10,000 kg of flour. 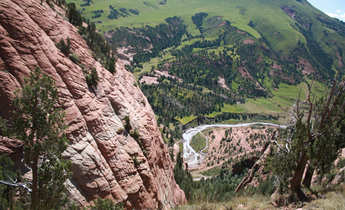 According to Tashi, the Gangri Neichog Research and Conservation Centre, a Qinghai-based environment NGO, provided the monastery with 10,000 yuan (US$ 1,446) through crowd funding in 2016. Apart from this, “the major economic burden of caring for these 1,000 or so dogs falls solely on the monastery,” said Yong Qiang, a Maozhuang villager. 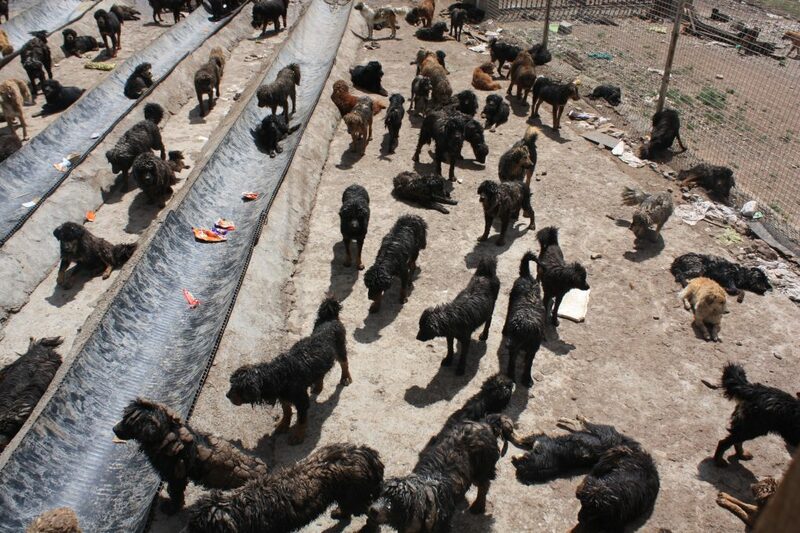 The attempt to shelter the strays in Maozhuang is unprecedented in the region. Although a government-invested dog shelter is said to have been set up near downtown Yushu, this has not been verified. 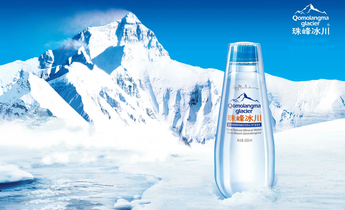 The Yushu government intentionally play down the issue to avoid a negative impact upon tourism. But the monks and villagers in Maozhuang know the situation can’t last. The first problem is the shortage of food. Then there’s the fighting between dogs and the disease inevitably spread among so many dogs cooped up together. The central government has already poured billions of yuan over the past decade into conserving the Sanjiangyuan (Three River Source) region of the Tibetan plateau where Maozhuang is situated. However, academics hotly contest whether the money has been effective in protecting the ecology and improving local peoples’ lives. If a fraction of these funds was used to create a permanent home for stray dogs with veterinary care, the situation would improve immediately. Now during the winter when temperatures in Maozhuang reach minus 20 degrees C, the dogs in the shelter face even harsher living conditions. “We hope that some dog lovers will come and adopt a number of them. 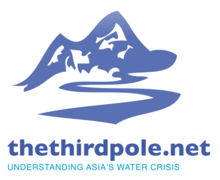 We would be grateful for their kindness and help,” said monk Tashi.